A regale woman who has a sense of quiet authority, better known as Queenie and without a doubt just like a real queen for everyone who works in the Godding & Godding factory. 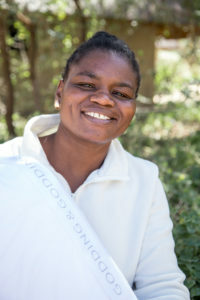 Queen Mabilane has been part of the team for 14 years, she is the head seamstress for all the silk products and has a team of three other ladies who are working underneath her and learning from her incredible skills. 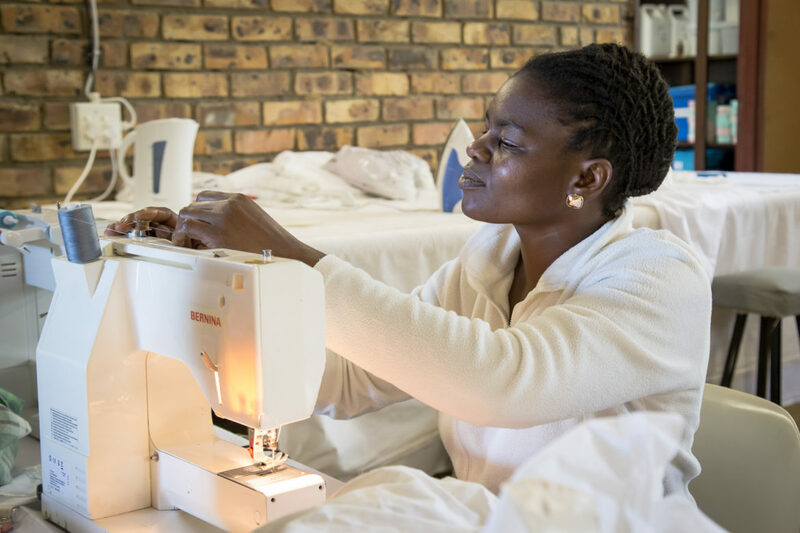 She started her career in sewing many years ago at the Phalaborwa Foundation, a place where people can come and learn new skills, she chose sewing and so they story began. 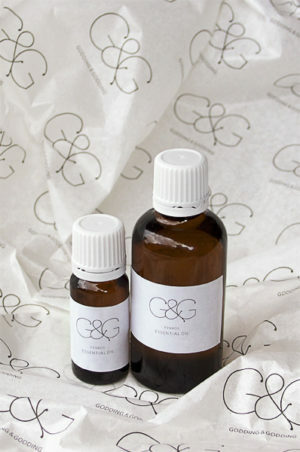 In 2004 the opportunity to sew with silk at Godding & Godding presented itself and Queen was the person for the job. 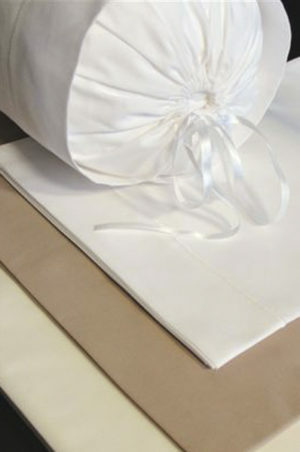 Working and sewing with silk is very complicated and far more difficult than sewing with cotton, so initially there were many challenges, but through tireless efforts and pure determination she perfected the art and is now a truly skilled silk seamstress. In the factory Queen is busy training the other ladies to sew the silk duvets, pillows, all the sheets and pillow covers as well as the bathrobes, it is a busy space with lots going on. A mother of three, a provider and safe keeper all mean that Queen’s job is very important to her, not only does it provide the income for her and her family living in a rural area but the absolute love this woman has for her job: “I love my job very very much because I am learning lots of things and also teaching other people how to sew.” Queen is a truly humble leader and a great inspiration to the woman working around her.